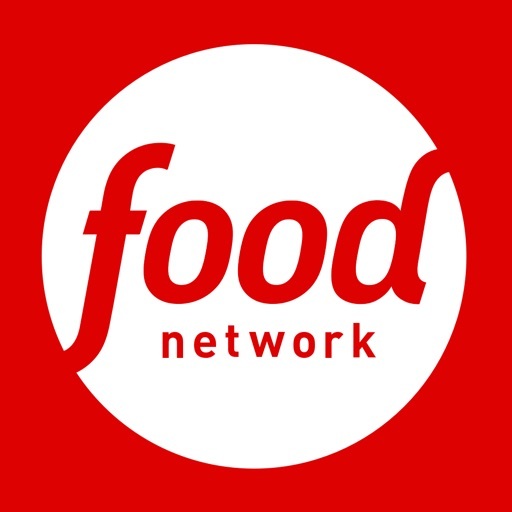 開発: Television Food Network G.P. We’re all about making life in and out of the kitchen more enjoyable and stress-free, so we’re getting personal with the latest version of In the Kitchen. 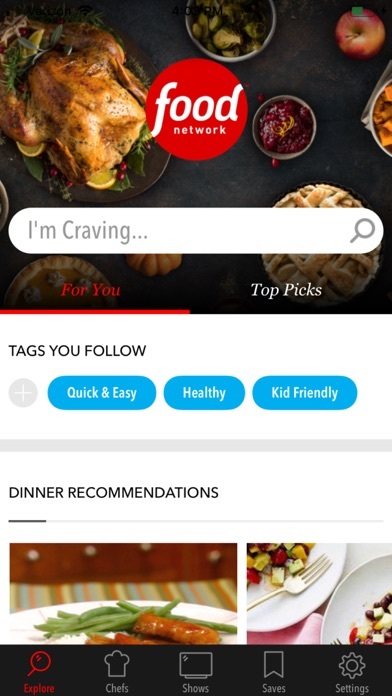 Choose from your favorite Food Network chefs, preferred cooking styles, and any diets or allergies, and we’ll deliver a personalized set of recipes that you’ll love, updated every day so you’ll never run out of inspiration. 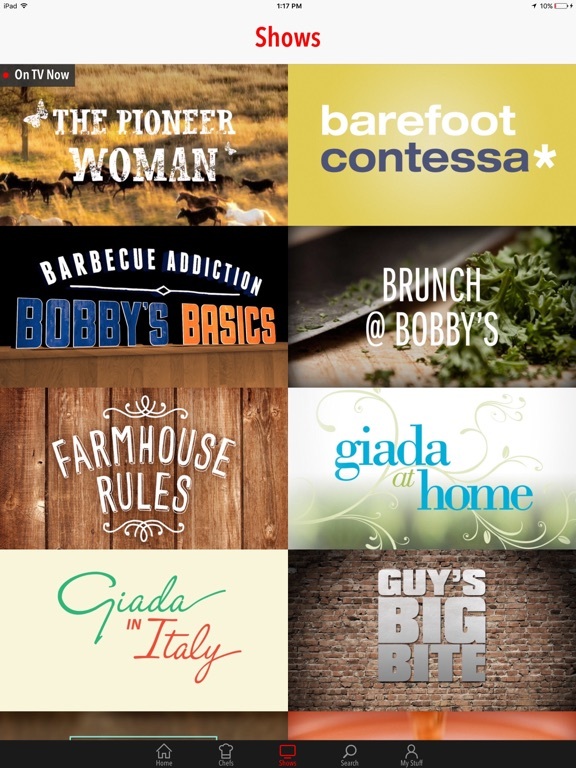 - Open the app to find recipes for the shows that are on TV right now. 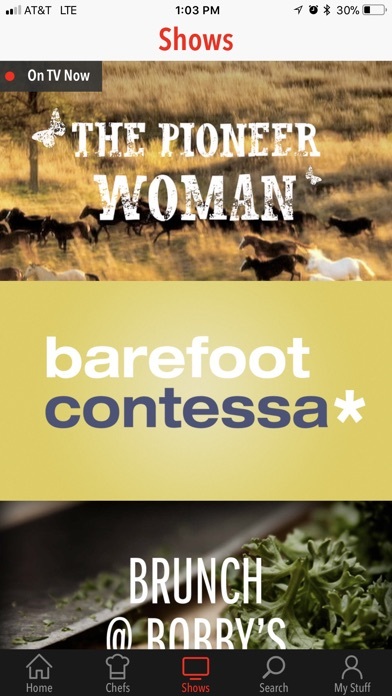 - Search for the perfect recipe to satisfy your meal-planning needs. 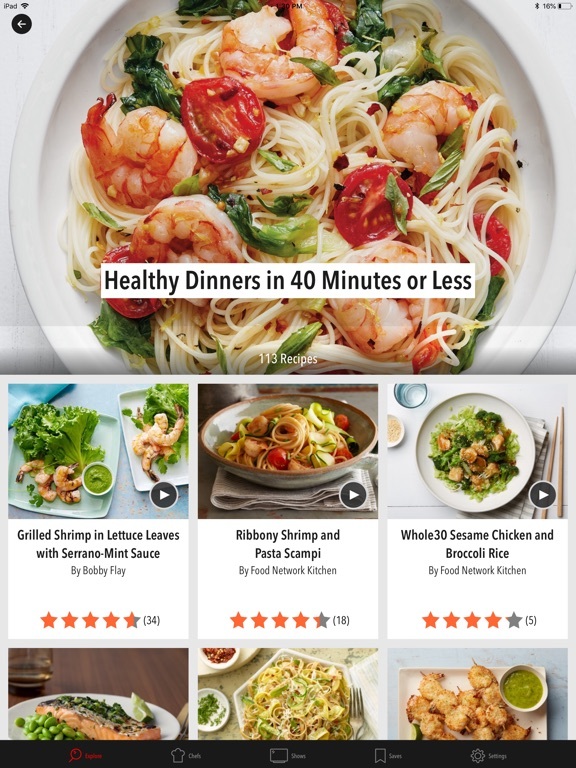 Narrow down your search by chef, course, cuisine and *recently aired* recipes. 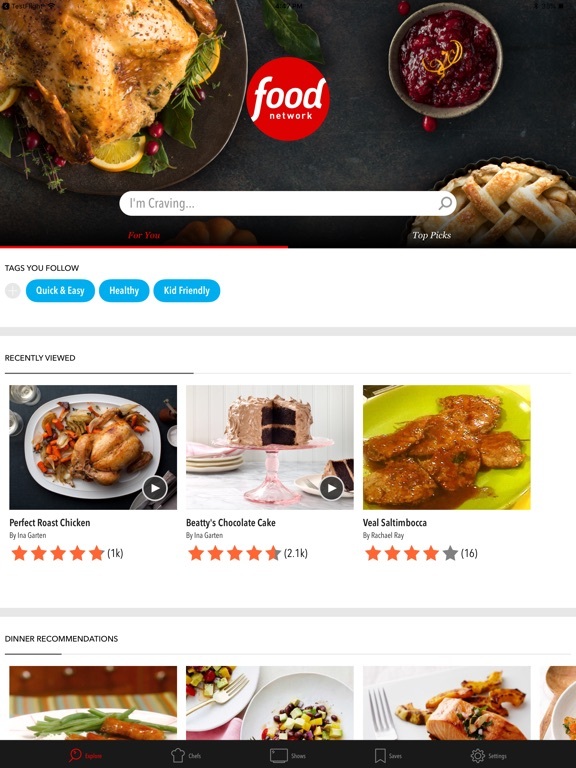 - Save your favorite recipes, mouth-watering videos and recipe collections curated by the Food Network editors *instantly*. Organize your Saves in fully customizable Boards. 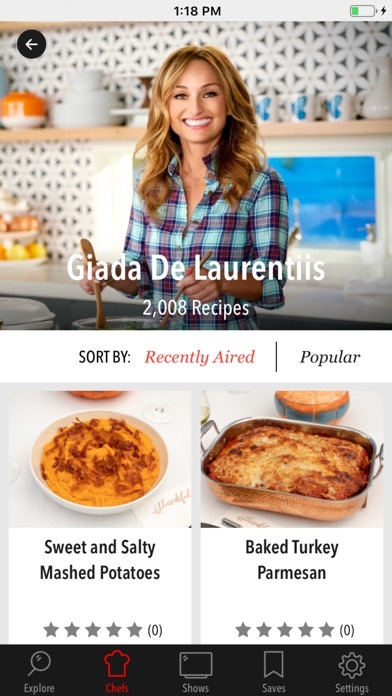 Easily access your Saves and all recently viewed recipes across FoodNetwork.com and the In the Kitchen apps on iOS and Apple TV. - Looking for a decadent dessert, a healthy meal or want to learn about the latest kitchen hacks? New content is updated and featured daily. - Hone your cooking skills by watching our how-to videos and step-by-step guides. 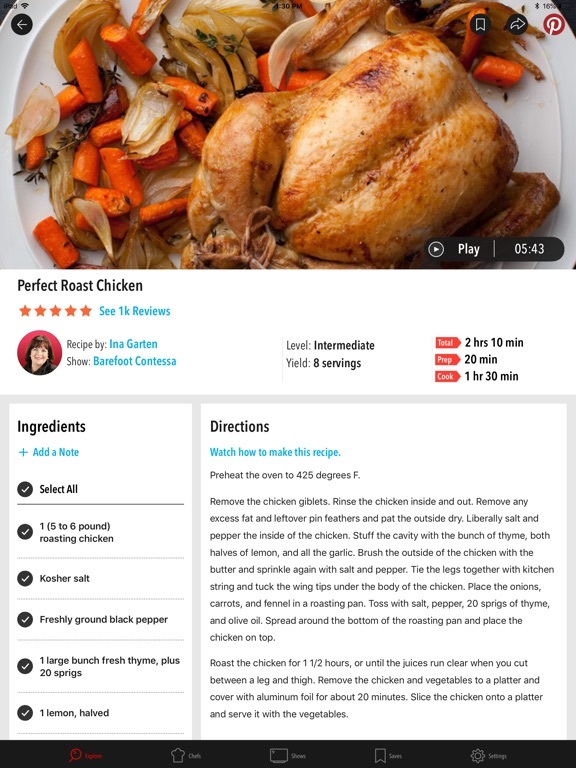 - Get creative by adding your own ideas and substitutions on each recipe with the Notes feature. 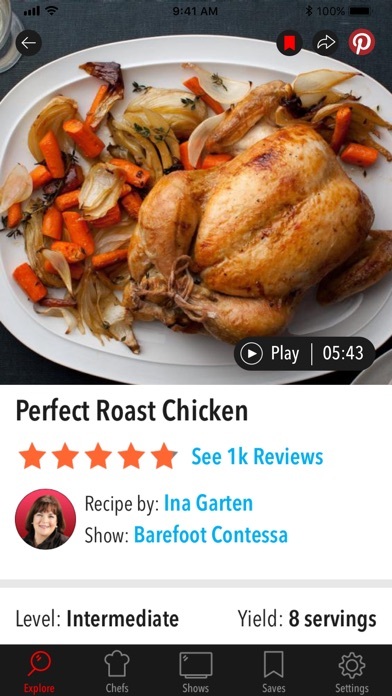 - Add ratings and reviews of recipes that you’ve cooked, right within the app. 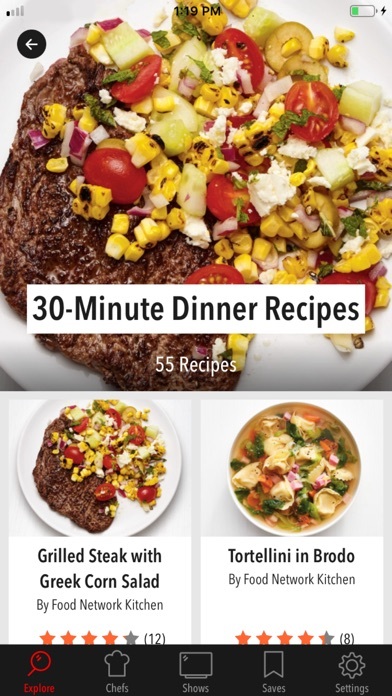 - Enable push notifications to receive our favorite delicious recipes every day. - Enable the iMessage extension to search for and share recipes with friends and family without having to leave the Messages app. 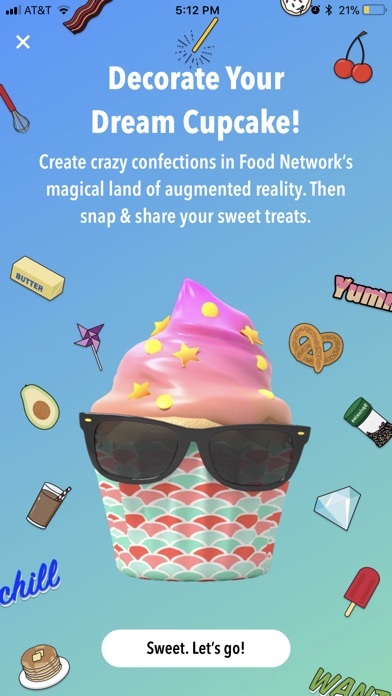 - Customize your In the Kitchen app icon with an image of your favorite Food Network chef. 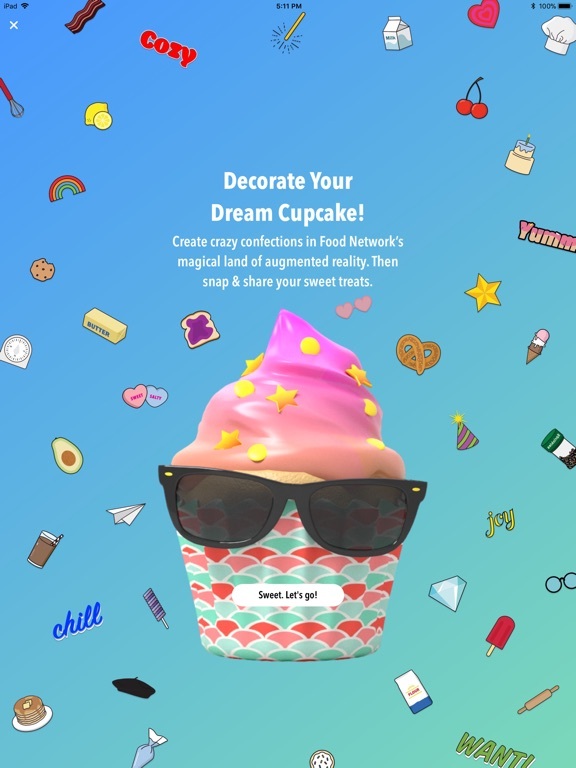 - Start your day off right with irresistible food facts, cooking tips and related recipes with our Daily Bites widget, available in the Today View.